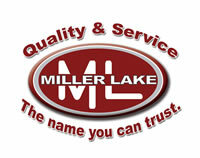 If you have any questions, please contact us at sales@shopmillerlake.com. Prices shown are in CANADIAN DOLLARS. Orders are generally shipped out within 24-48 hours of receiving payment from Monday - Thursday. Please note that we no longer ship on Fridays. Under certain circumstances, such as holidays or days we work on inventory, etc., we will not be shipping. This information will be posted at the top of the Shipping page.